Indoor flooring presents some tough environments. But the harshest conditions for the toughest floors are reserved for the outdoors, where exposure to the elements – especially ultraviolet rays – wreaks havoc on traditional outdoor floors. In outdoor environments, traditional epoxy solutions just won’t work – even the most UV-resistant epoxies will last only a few months in sunlight. This means that epoxy flooring that looks great on day one begins to take on a yellowish look on day 49 and starts to look caulky on day 181. Then the outdoor “UV Resistant” epoxy floor starts to deteriorate the next year. Considering that many outdoor flooring installations are on sundecks, pool decks and otherwise leisurely spaces, the chalkiness and deterioration debacle is hardly the respite most end users – and contractors – are looking for. For the toughest in outdoor floors and decking Everlast® Epoxy’s Polyavastic solution is ‘outdoor tough’ and the only way to guarantee the longevity your home or commercial facility deserves. Polyavastic differs from epoxy, in that it’s a tough urethane hybrid, formulated for UV resistance. But the strength doesn’t stop there. Polyavastic is chlorine resistant – suitable as a topcoat and binder on pebble and other types of pool decks. It doesn’t caulk like epoxy, which outdoors will amber and deteriorate. And it simply doesn’t require repainting. Outdoor flooring contractors are always looking for solutions to UV, chlorine, ice and snow and other harsh elements. And their solutions get quite creative. For example, some contractors will use an aliphatic one-part polyurethane in attempt to defend against UV. But it does nothing for chlorine. Others will install acrylic concrete overlays which look great at first but are hard and brittle and bring frustration to the end-user as adhesion loss chips away at the value proposition. Polyavastic enables beautiful, durable outdoor floor options, that can survive the elements both man made and natural. With 10.4 million residential pools, the opportunities to bring a widespread solutions to the challenges of pool decking are endless. Pool investments have long been seen as a dubious return on investment for a home. The monthly recurring expenses with the pool, plus overall maintenance drive expenses, while some home buyers seek homes without pools, lowering overall demand. But with Everlast Epoxy’s Polyavastic product, overall maintenance costs surrounding pools will be lower as top tier decks last longer, need less maintenance and look better. Everlast® Epoxy’s Polyavastic solution brings the toughness needed to survive outdoors. In fact, it’s UV tested in Lake City, Florida, a town that gets over 221 days of sun per year. With the Polyavastic Solution bringing a level of accessibility, ease of installation and durability previously unseen. 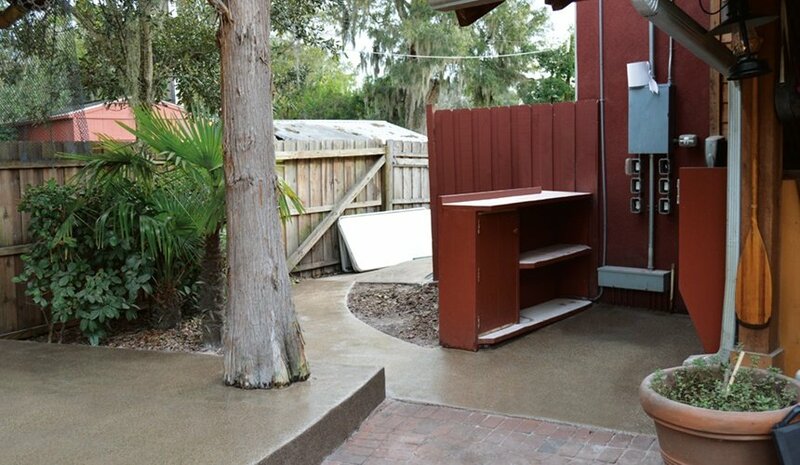 Homeowners and contractors alike can cost effectively deploy imaginative, unique surfaces. Where acrylic, concrete overlays would crack and lose adhesion, Polyavastic holds strong. And the strength and aesthetic of Everlast Epoxy’s epoxy indoor floors are now accessible in Polyvastic form for outdoor use.